If you’ve ever tried to go on a diet, you know that advice about how to lose weight is often confusing, conflicting, and can change by the hour. Should you cut high-fat foods from your diet? Or carbs? Maybe it would be better if you just replaced the joy of eating with Soylent drinks and called it a day? Many consumer DNA testing companies have pledged to cut through the dieting din with personalized advice. Different diets work for different people, and, the thinking goes, our genetics might provide useful insight into what might work for each of us. But, according to a new study published Tuesday in the Journal of the American Medical Association, the secrets to dieting success are not encrypted in our genetic code. Or at least, that code has yet to be decrypted in any way that is useful to dieters. Scientists at Stanford worked with 609 overweight adults, randomly assigning them a healthy low-fat or healthy low-carbohydrate diet, then checking in after a year. The researchers looked at biological factors such as genetics and insulin secretion levels, hunting for clues as to how those factors influenced how much weight trial participants were able to shed. The result? A person’s genetic makeup didn’t seem to influence how much weight they lost, no matter the diet. Neither diet seemed to make much difference, either. Nor did levels of insulin secretion. The rise of consumer DNA testing has spawned dozens of tests that purport to give customers precise information on what to eat and how to exercise to attain better health. Those services, though, are often bogus, extrapolating, say, from a study of just 68 non-smoking men that drinking 750ml of cloudy apple juice a day will aid in fat loss. Your genes are certainly part of what impacts your weight. And there is still hope that our genetics may one day provide insight into which sort of diet is better for which sort of person. In 2016, an NIH working group on obesity called for more emphasis on what it called “precision weight loss” through techniques like genetic analysis to improve the success of diets. In January, the DNA testing firm 23andMe launched a massive weight loss study. That trial aims to test 100,000 people crowdsourced from its database of more than a million of its customers, put them on different diet and exercise plans, and search for genetic links explaining why they were or weren’t successful. The probabilistic nature of our DNA means that any dieting advice we can ever glean from it will likely be very broad. But stands to reason that hidden somewhere in our DNA there is some sort of useful information on how to best lose weight, or how to keep it off. One day, that may mean your DNA can tell you whether you’re more or less likely to do well on a diet that emphasizes less fat or fewer carbs, for example. That day, though, is probably a ways off. More than 150 genetic variants associated with weight have been identified. 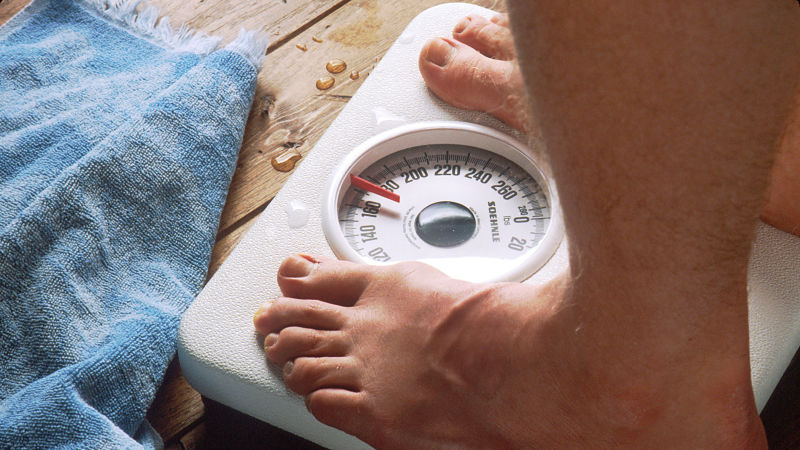 A much smaller number of genes have been associated with body weight change. A better understanding of those genes and how they interact to help us regulate our weight is probably necessary before doctors can dole out DNA-tailored diets.